Is it snowing in Schweitzer Mountain ?Thank you! 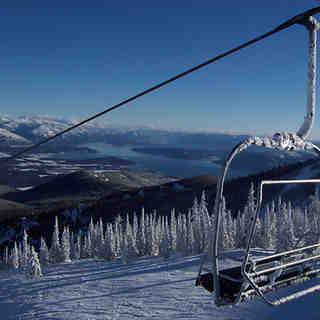 Schweitzer Mountain Resort is quickly rising in the ranks of the nation’s top ski resorts with 2900 acres of amazing terrain and two massive bowls. Skiing Magazine editors picked Schweitzer Mountain this year as "Best Place to Ditch the Crowds" and Ski Magazine ranked them in the top 10 for best lifts! 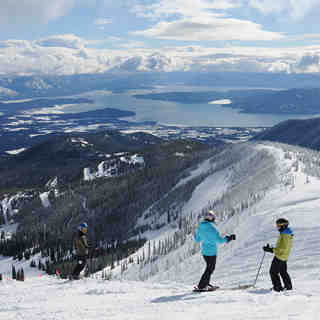 Located in the rugged Selkirk Mountains of the Idaho panhandle, Schweitzer overlooks the town of Sandpoint and Lake Pend Oreille, and has long been famous regionally for its vast terrain, breathtaking views and amazing tree skiing. 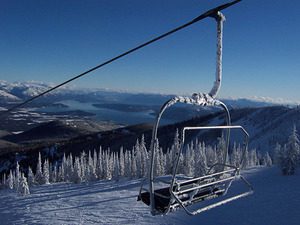 For more information on Schweitzer Mountain Resort call 800.831.8810 or visit www.schweitzer.com. With all 2900 acres of terrain now open, full day adult lift tickets will be $81 at the window! Stay safe out on the mountain by obeying all posted ski patrol signs and keeping an eye out for unmarked obstacles. We recommend skiing or riding with a buddy! Enjoy! I really love this resort despite the continuing removal of all the charming flavor. Like taking out the perfect ski patio :( It still is always fun and challenging skiing (if you have the attitude for the vastly differing terrain and conditions), plus I love fun Sandpoint. And I love that it is mostly still undiscovered. My beefs? Yes, the once perfect bar deck is gone, to be replaced with a "lame patio." The new Sky Lodge is cool-ish, just ok food but I would have put the money into the lower lodge and Outback and replaced the deck! :) Please!! And taking the beer shack at the top was wrong too. Hope they put out spring skiing outdoor chairs up there anyway. And then there isn't really any local appreciation or loyal season pass holder incentives. And the high prices. Still my fave in the region!